What’s the cost of a pen test? Flint ( www.flint-international.com ), an international Communication Technology Specialist designs and delivers mobile and fixed communications solutions. CloudCIO has been working closely with Flint since 2014 on a range of projects. As an example, CloudCIO project managed a successful 12 month Network Design delivery, including the server and application design for Network Management and Information Security. “CloudCIO managed our team of network and infrastructure design engineers to a very successful completion to plan (budget, time and full customer satisfaction). In what was always a challenging cultural environment with tough communication requirements. I have no hesitation in recommending CloudCIO for similar types of project, internationally. Flint & CloudCIO continues to develop collaboration as Flint moves closer to transform into a leading ICT company”. 5app ( www.5app.com ), a fast growing Cloud Services Provider and software development house based in the City of London, specialising in Digital Content Management applications and Corporate App stores. The 5app Digital Hub provides a simple way to pull critical content and mobile apps into one easy to use, secure location. 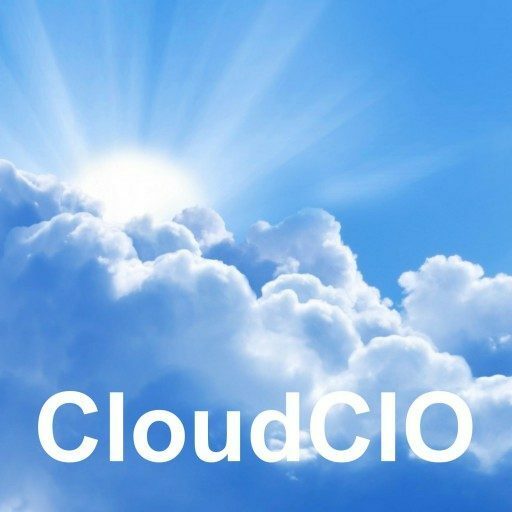 Since 2014, CloudCIO has been working closely with 5app on a range of topics across product development, architectural and security analysis of the cloud offering and how to further enhance their application suite’s security, scalability and robustness for a global commercial offering. were able to build a brand new web site and design on a new hosting platform. 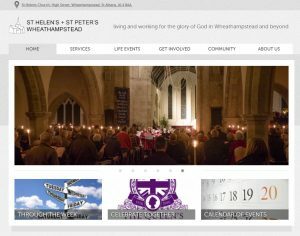 CloudCIO, built the site, provided the new web designs, project managed the content population and implementation for the church, ensuring the site was successfully delivered on time, with all the desired features. “Mark helped us with the technical side of migrating our old web site to a new hosting platform and re-inventing the style, and layout of the new site with the help of a new theme. Mark was available to project manage the resources at our disposal and co-ordinate the effort required to deliver this and all the new content in a timely fashion. Mark also provided a little training to the team. He explained everything clearly and because of him the change was painless and delivered really smoothly. Our new website is a big improvement. were able to build a brand new web site with new designs on a new hosting platform through CloudCIO identifying alternative hosting platforms and development tools. CloudCIO project managed the new web site design, content population and implementation project for the school, ensuring the site was successful delivered on time and with all the features requested, built in WordPress on Bitnami appliances and virtual servers hosted on AWS. A luxury leather goods manufacturing company in Nairobi Kenya, were able to develop internal data storage facilities and a new platform for a brand new web site, and online shop through CloudCIO identifying alternative web hosting platforms and NAS solutions. New UK web site and online shop developed by CloudCIO affiliate Fincon.Me using WordPress & Prestashop on Bitnami appliances and virtual servers hosted on AWS. A busy East London company in the building & construction trade mitigated their risk of repeated data loss from on-premise servers by partnering with CloudCIO to migrate their data and applications to Google Drive and Google Apps. What is the difference between Transformation and Change? Disruption – how to cope as an SME? Nils on Are you ready for GDPR? Copyright © 2019 CloudCIO LLP. Powered by WordPress. Theme: Ample by ThemeGrill.